We went to Crow's Nest Farm today and had a lesson on snakes. 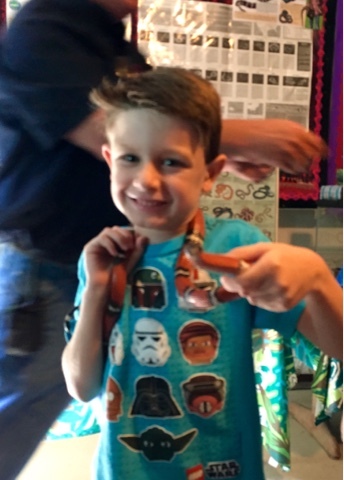 Hudson made friends with a milk snake - red touch black, friend of Jack. Not to be confused for the venomous coral snake - red touch yellow, poison fellow. Lucky us, over 110 snakes species in Texas with the four most common venomous ones right here in central Texas.